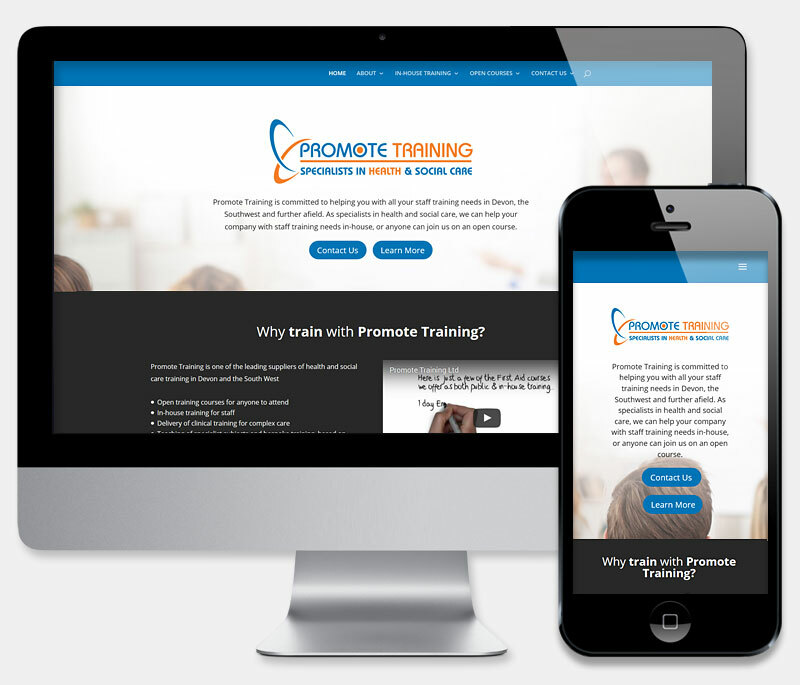 The Promote Training Team had been seeking an update to their existing, non-responsive site for some time. A friendly consultation at our office in Tiverton, allowed us to provide some suggestions for a cost effective replacement. Based on the latest WordPress CMS, the new website and supplied training, enables painless future updates by the client. The intuitive navigation and course menus allows visitors to quickly pinpoint the training they require and to enquire, or book a relevant course as conveniently as possible. A fresh, bright design with modern, spacious layout, communicates the requisite healthcare and training subject matter. It also allows great flexibility to amend and update content as required, without adversely affecting site layout and style. Pre-saved page content further speeds the process, with commonly used elements, such as forms and course pages, being made available in the editor library. Project additions included logo rework and branding of the 'Promote Training' Facebook page.